Citizen Metals is a leading manufacturer and exporter of Forged Fittings Plug that are being designed as per the national and international standard quality of raw materials and thus making sure of their durability and high quality. 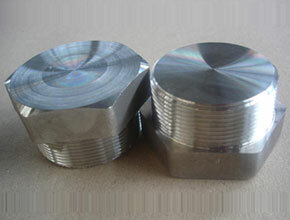 Pipe plugs are defined as cap end of fractional tubes used in a large number of industries. These Forged Pipe Plugs are designed to insert into the end of tubing to dead-end the flow. Various materials are used to manufacture high quality tube plugs in a variety of end connections. These pipe plugs come in one piece body design and the easy to replace plug assembly make these industrial pipe fittings very easy to maintain and clean. 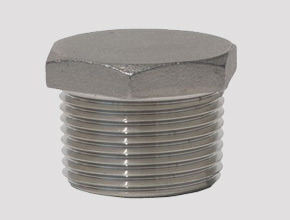 Alloy Steel Round Head Plug, Duplex Steel Bull Plug, Nickel Alloys Threaded Plug Suppliers In India. 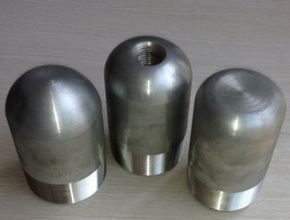 Our Plug Forged Fittings can further be customized in terms of thicknesses, sizes and specifications as per the specific requirements of our clients. We offer these fittings at quite market leading prices. 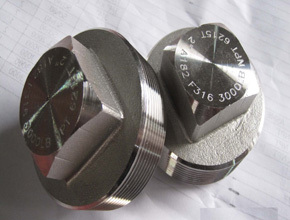 ASTM A182, ASTM / ASME SA 358, ASTM / ASME SA 312 GR. TP 304, 304L, 304H, 309S, 309H, 310S, 310H, 316, 316TI, 316H, 316LN, 317, 317L, 321, 321H, 347, 347H, 904L.